Mobile gaming is one of the fastest growing industry worldwide. Since 2007, video gaming industry, which was only $44 billion then, is now worth $68 billion. Back in 1994, when the craze of video games hit the market, experts were unable to gauge the potential of this industry. To their astonishment, the graph has only stretched upwards, making it the most anticipated industries of this era. According to the last fetched data back in 2008, comparison to other entertainment industries has left the experts wide-eyed. Back then, music industry was worth $40 billion, movie industry worth $27 billion and book industry worth $63 billion. Though the numbers of all industries have reached sky-high, gaming has explored a new dimension. So, who really is playing these games? According to a recent report by Price Water Cooper, there is no exact demographic of a gamer. A gamer can be anyone between the ages of 8-80 years. It all depends on the game one is interested in.It all began back in 1990, when an outrage of arcade gaming flooded the home computers.Since then the growth of digital devices called for flexibility of these games on various user devices. It also demanded for more realistic experiences for a gamer. The objective being, that the virtual world must blend in the real world and deliver a majestic yet dynamic user experience. 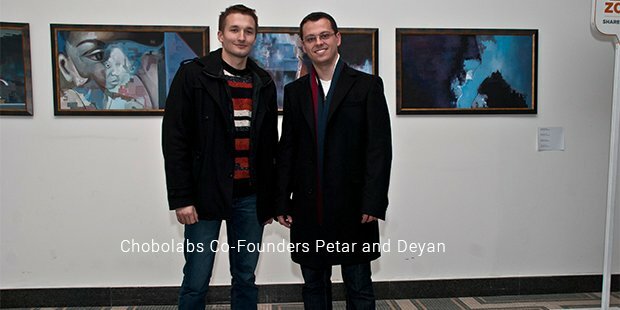 "Chobolabs Co-Founder Petar nd Deyan"
Therefore, games like World of Warcraft, Counter Strike, etc. took the market by storm. When considering demographics, it is also considered that a female gamer is fond of strategy, management and intellectual brain teaser games like quizzes and puzzles. On the other hand, a male gamer is hooked to action and gambling. It is also observed that female gamers are more committed to long term games versus male players, who do complete a session but lack the dedication to complete the series or await the launch of a new version. There are many organizations that develop games. The most renowned ones are Electronic Arts, Microsoft, Nintendo, Zynga and Rovio. But when it comes to the actual coding for these integrated games, there is one market leader, Chobolabs. Chobolabs is a multiplayer mobile gaming interface developer. Chobolabs is led by Innovation Endeavors, a company set by Ex-Google Eric Schmidt. 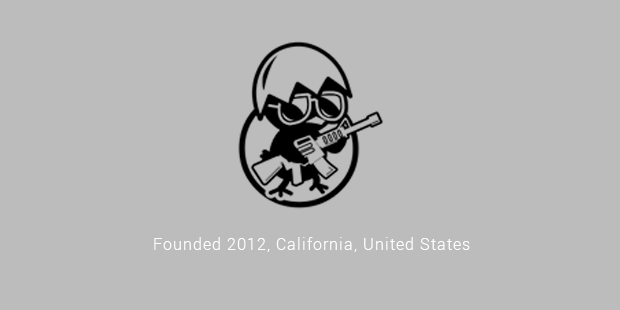 Chobolabs was founded by Deyan Vitanov, a pro-gamer with a large network with employees of Gameloft and Ubisoft,who have worked on Assassins Creed and Trism. They all work with Vitanov now. Today, Chobolabs has raised $1.3 million by developing multiplayer games for mobile devices. Mobile gaming has changed the face of gaming industry. It is easy to guess that Facebook is the market leader in gaming not because developing a game on Facebook is easy but also it helps in the marketing efforts of the developer due to its content sharing feature. So, whether you are a Candy crush pro or a Poker Texas forerunner, you have contributed a lot to the booming mobile gaming industry. Keep the good work going and we shall eradicate the thin line between reality and virtual world very soon.